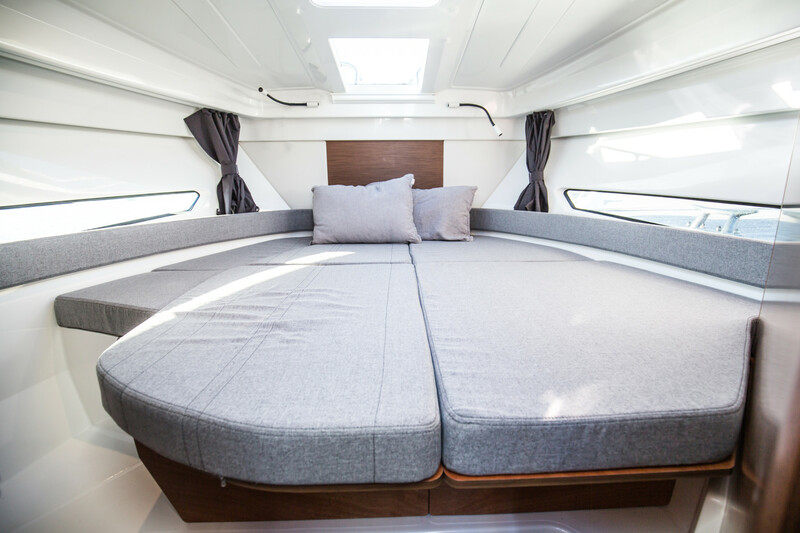 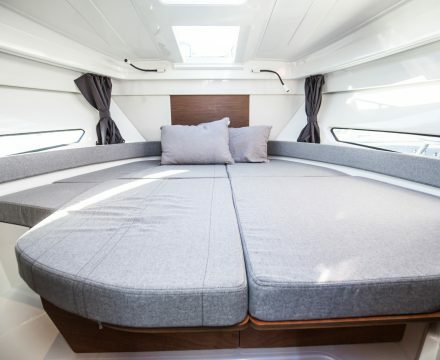 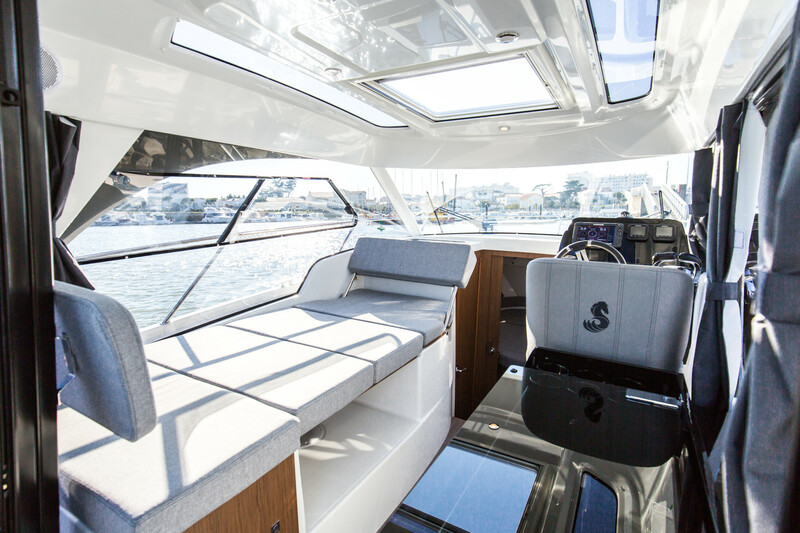 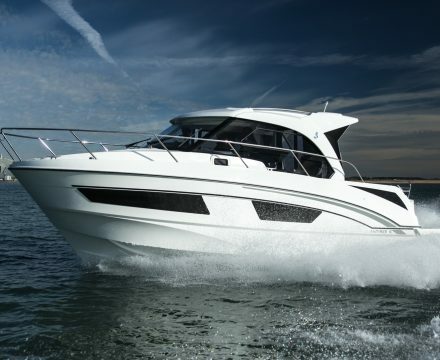 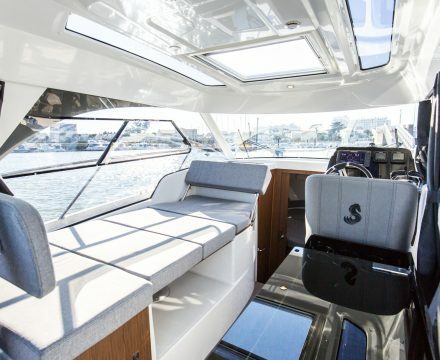 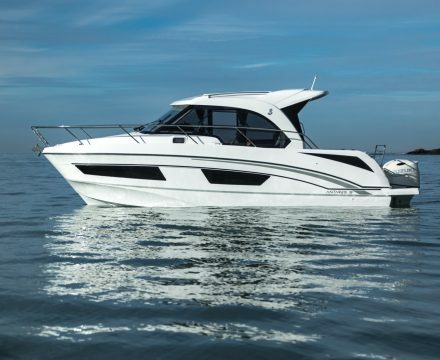 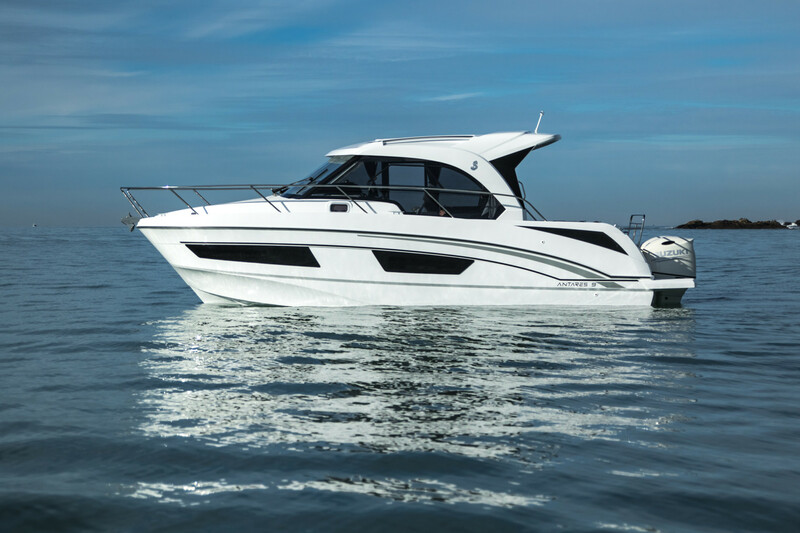 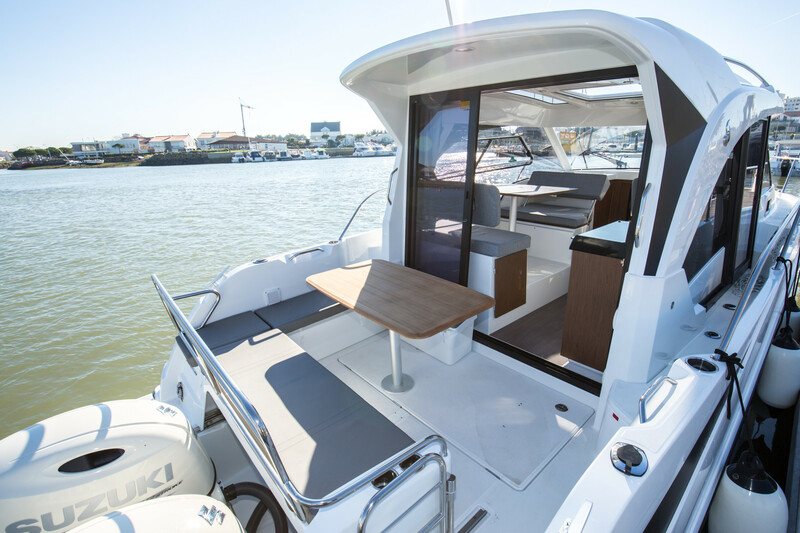 With a real feeling of space, the new Antares 9 is ideal for short cruises with your family or friends. 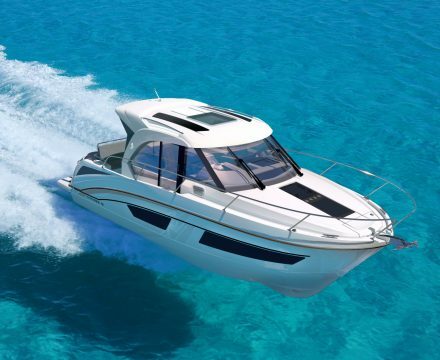 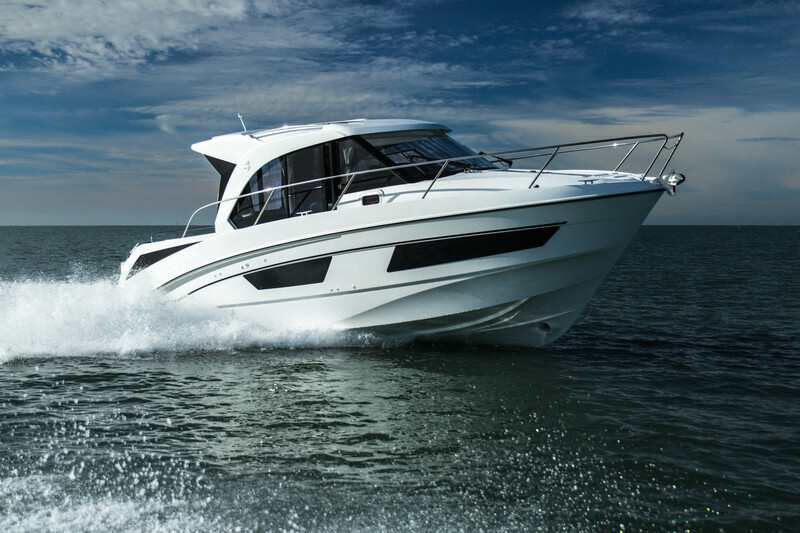 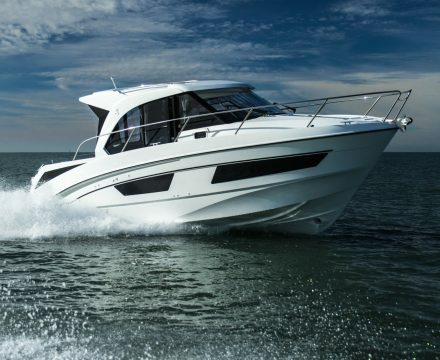 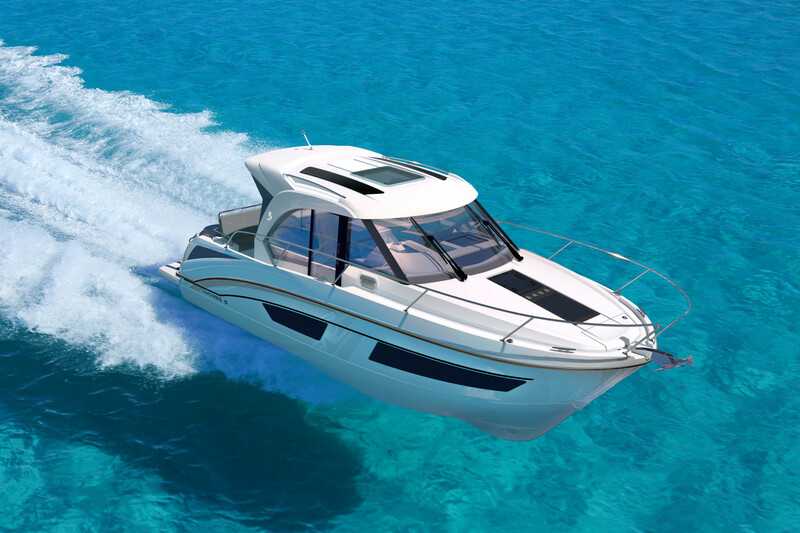 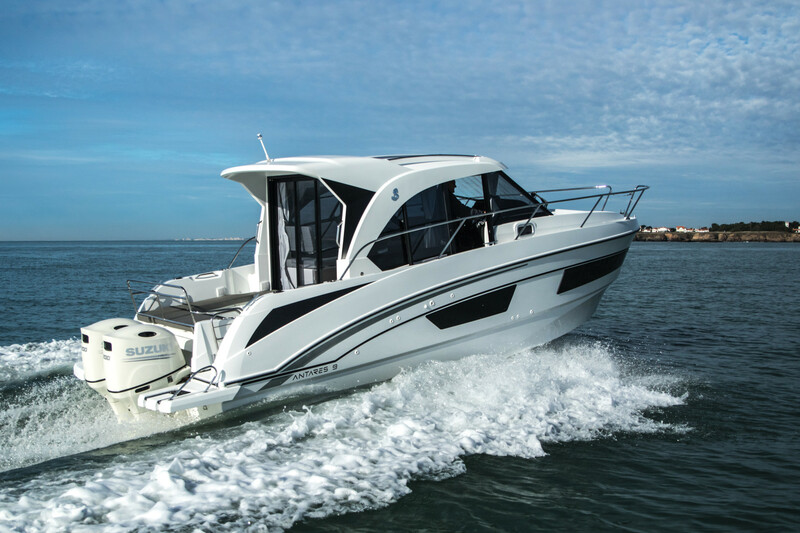 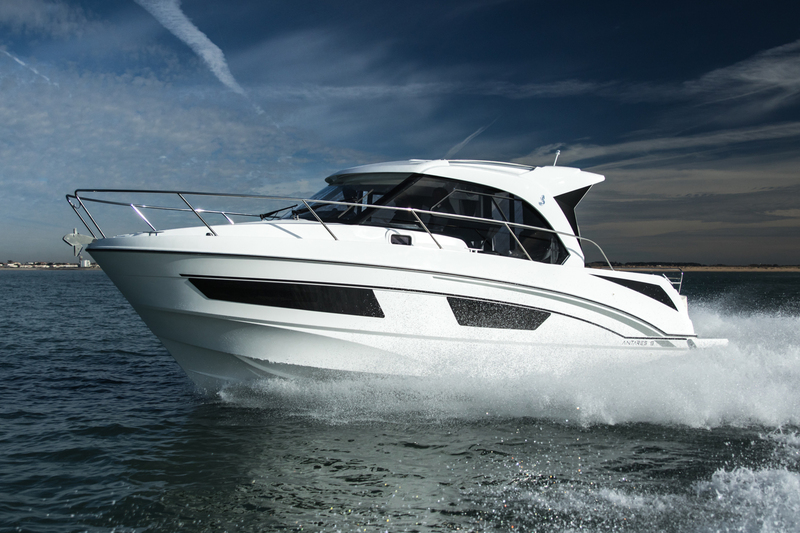 The Antares 9 has an Airstep® hull and up to 2 x 200 hp engine power. 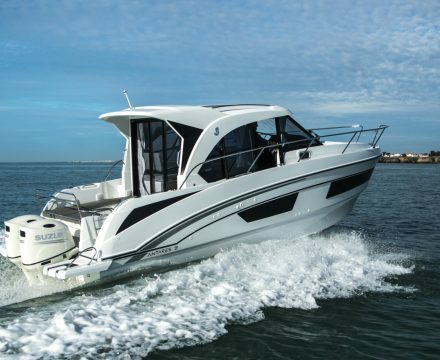 Her autonomy is also improved with the option of a 600 L fuel tank and a 160 L water tank. 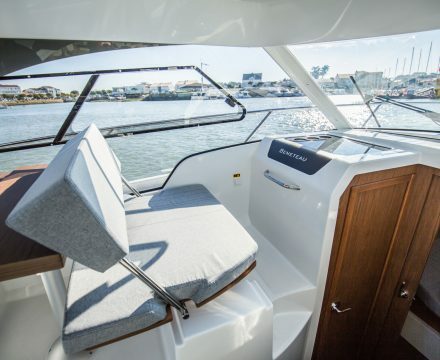 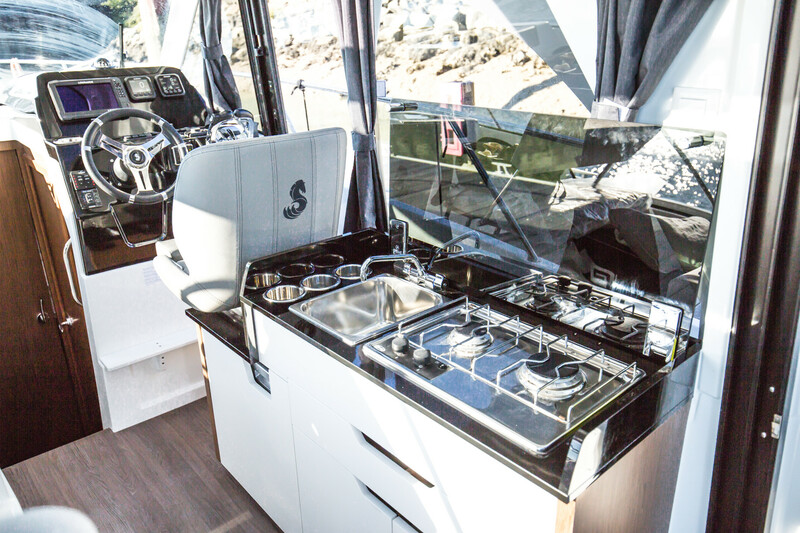 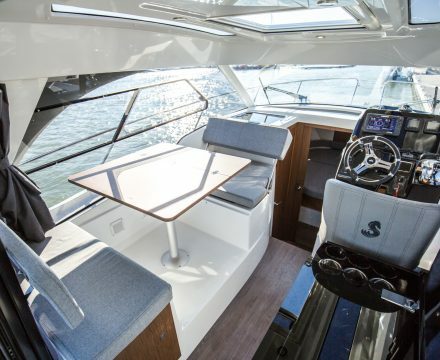 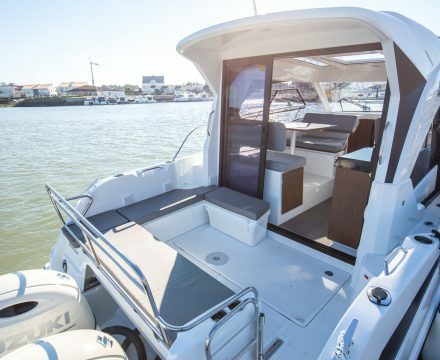 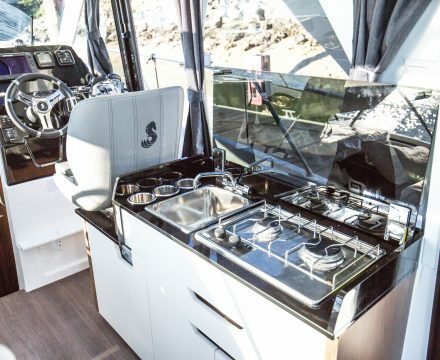 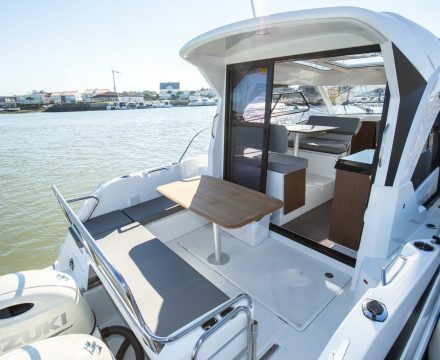 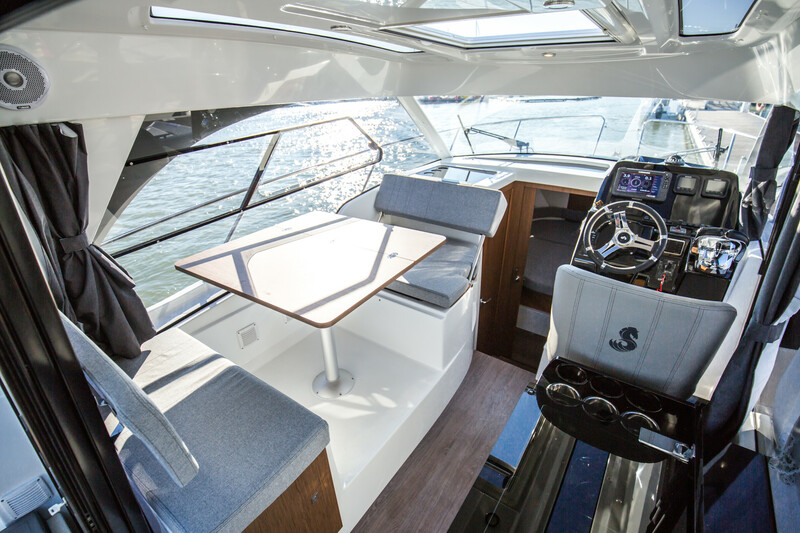 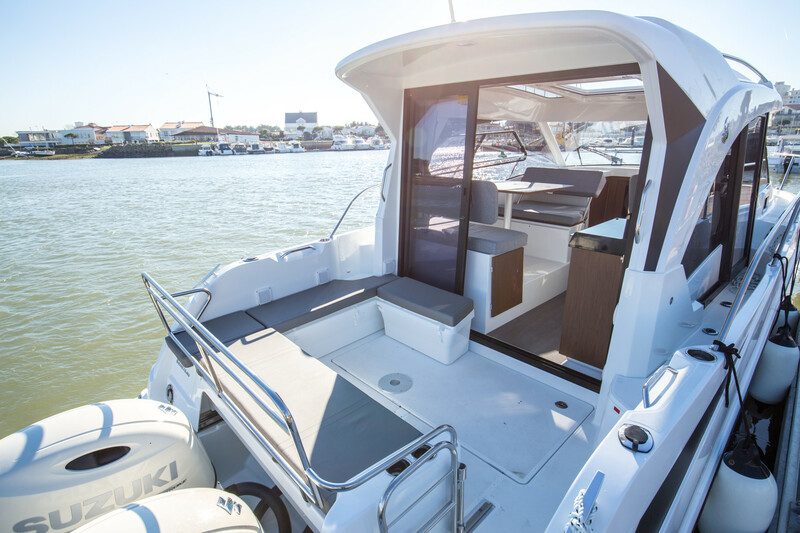 With two entirely independent cabins, a galley and a generously fitted washroom, wraparound windows in the pilothouse offer a panoramic view of the sea. 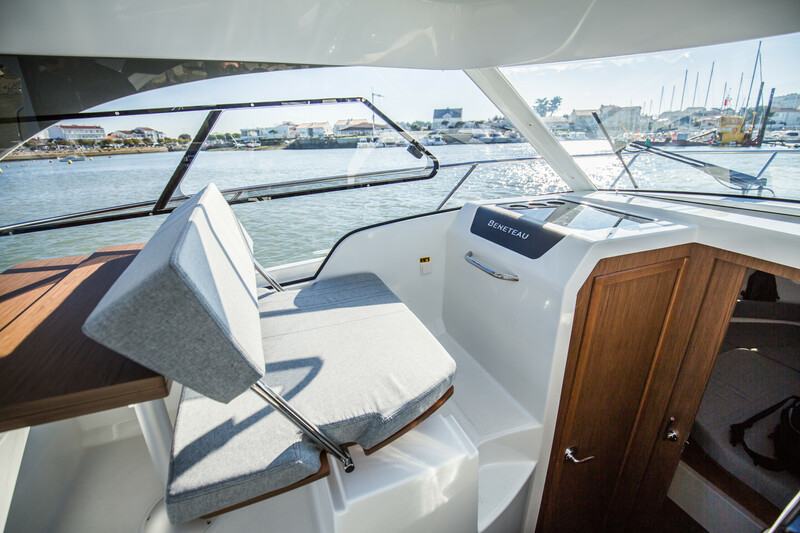 With the cleverly organised lounge the co-pilot seat can be swung round promising enjoyment and relaxation together. 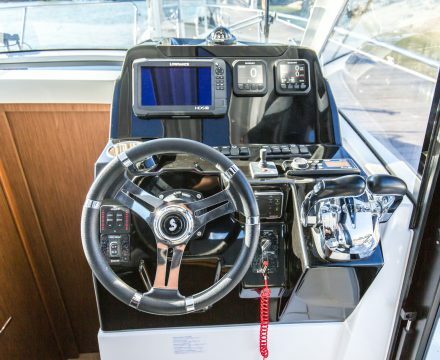 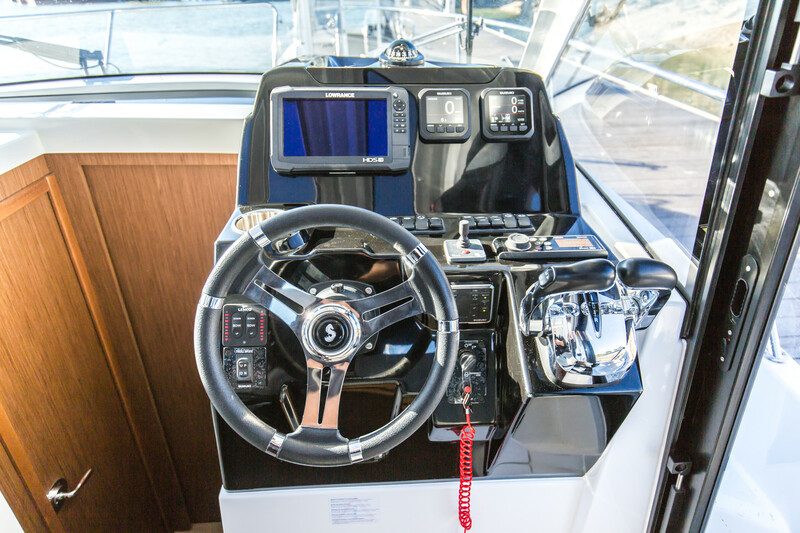 There is a shift upmarket on this new Antares 9 and she is designed with careful attention.